Heat oven to 375°F. 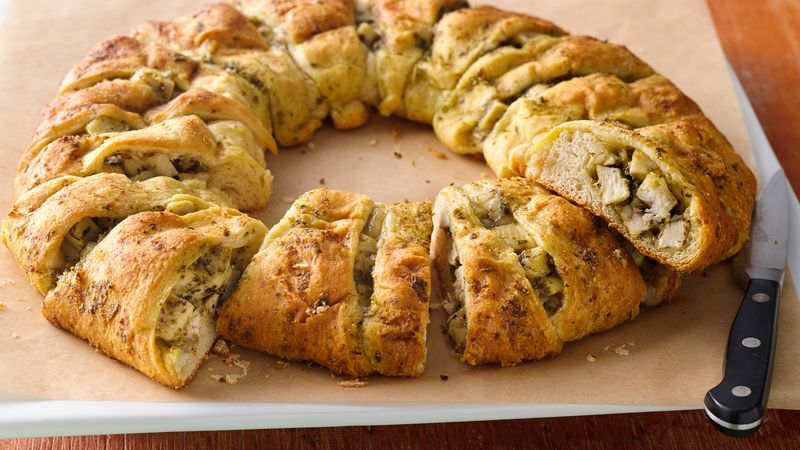 In medium bowl, mix cooked chicken, 1/3 cup of the pesto and the cheese. Spoon chicken mixture on the half of each rectangle closest to center of ring. 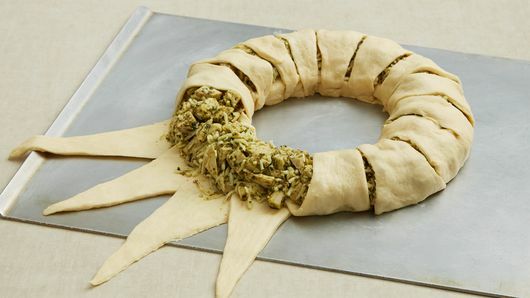 Brush remaining 1 tablespoon pesto on top of dough ring. 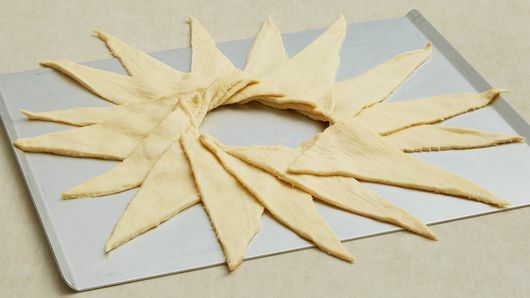 Bake 18 to 22 minutes or until dough is golden brown and thoroughly baked. Cool 5 to 10 minutes before cutting into serving slices. Cooking the chicken breasts in advance saves time in recipe preparation. Any leftover chicken will work as well. 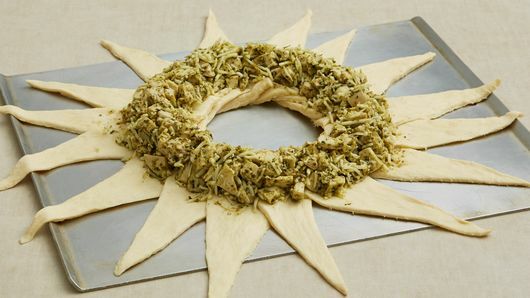 If you'd rather not have browning on the crescent ring, you can skip the step of brushing the dough with pesto before baking.